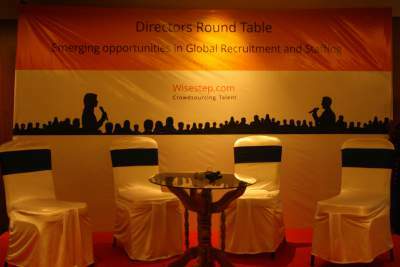 The Recruiters Conference on “Emerging Opportunities and Trends in Global Recruitment and Staffing“, held on Friday, 20th November at Aditya Park Hotel, Hyderabad, received a record number of registrations and due to the overwhelming response from our attendees, Team Wisestep is now organizing a similar but bigger event in Bangalore on Friday, 11th December. 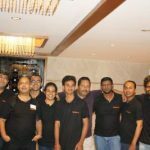 Register here for Bangalore Conference or Forward to your friends in Bangalore!! 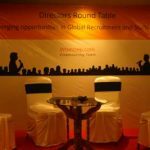 At the Hyderabad conference, we had a very diverse and experienced group of professionals from the ecosystem – the Hiring Managers from corporates, talent acquisition leaders, and senior leaders from US & UK IT Staffing firms. 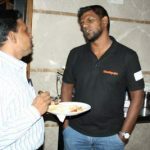 Progressive, inspiring and innovative, The Directors Roundtable was unmissable. 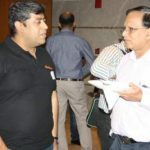 This is where the industry’s top executives, influential personalities and visionaries chose to take to the stage to share their stories, views and predictions for the industry. 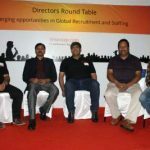 Karuna Vempala, Director Global Talent Acquisition – Cigniti Technologies: eloquently talked about the best practices in identifying, engaging and attracting the right talent-across the globe -with an eye on quality-of-hire. 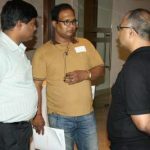 He asserted the value of creating communities of passive job seekers using social media and engage with them regularly through social media messaging to continuous to attract and deploy right fit talent on demand. 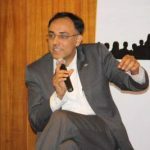 Jitender Bahri, VP – Deloitte Consulting: representing a typical client struggling to hire the right set of skills at the right time, shared the challenges he has to encounter to wow his customers’ expectations (‘Talent on Demand’, while keeping in perspective the cost, restrictions on work authorisations, and dropping supply of niche skills). 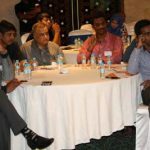 He primarily talked about how as a client he expects the most efficient outcomes based on Time to hire, Quality of hire and Cost to hire. 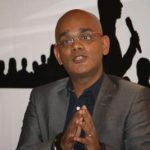 Mahesh Iyer, Head of Sales for APAC and SE Asia – Monster: provided insights on how staffing firms and companies can leverage social hiring to find the right talent. He explained how Monster is developing new technology to make the best possible use of social media. 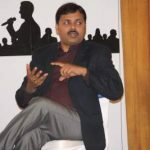 Aniruddha Dasu, HR Director, Polaris: suggested how social media specialists can help improve culture fit, to curb ‘infant mortality’ within the first six months of hire. 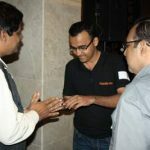 He laid great emphasis on how employee engagement plays a key role in curbing early employee churn over. Post, the panel discussion the floor was open to attendees to ask questions directly to the panelists. 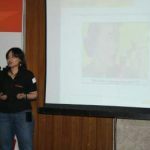 Anu Mahajan, talked about the power of Women Recruiters and what staffing companies need to do to curb attrition of senior staffing members (women). Besides, did you know that, 57% of recruiters (both male and female) stated that family responsibilities had a negative impact on their recruitment career. 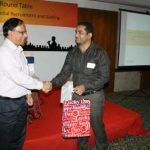 Manish Grover, talked about how crowdsourcing is changing the way we consume goods and services. 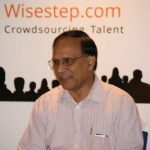 Crowdsourcing is also going to get increasingly applied to hire talent. 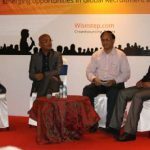 He talked about how Recruitment agencies and Freelance Recruiters can become successful by CLOSING more positions by working with Wisestep. 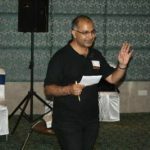 During his presentation he shared testimonials from some existing partners who have been successful at making more candidate placemetns in partnership with wisestep. You, can learn more about Wisestep by contact us at 8008001241 or email me @ anu.mahajan@wisestep-inc.com for more details on how to get started. 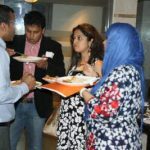 Post the presentations, the attendees and the panel members were invited for dinner and networking with panel members and other delegates. 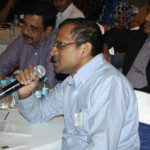 Register here for Bangalore Conference or Forward to your friends in Bangalore! 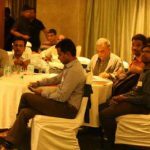 Previous articleWhat to do when your Mentor Leaves Company?